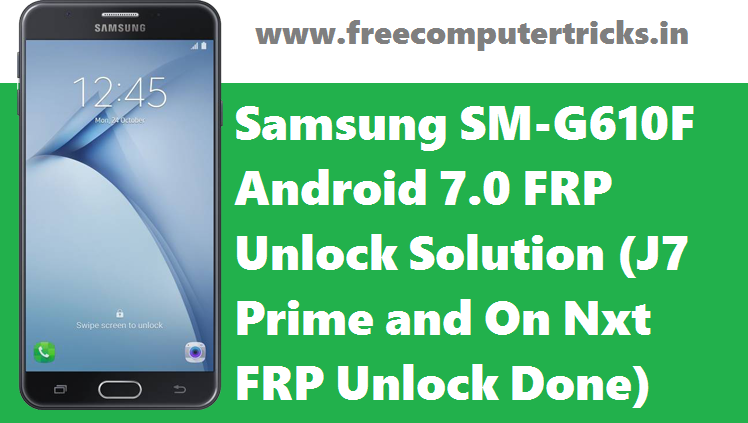 Here is the another tutorial about, how you can unlock or bypass FRP (Factory Reset Protection) on the Android smartphone for the model Samsung SM-G610F, which has Android 7.0 Nougat using Free Miracle Box Software unlock and flashing tool. This process works on Samsung Android smartphones having Android version 7.0 (Nougat), Samsung Experience version 8.1 with Android security patch level 1 August 2017 and Android security patch level 1 February 2018 to bypass the frp lock. 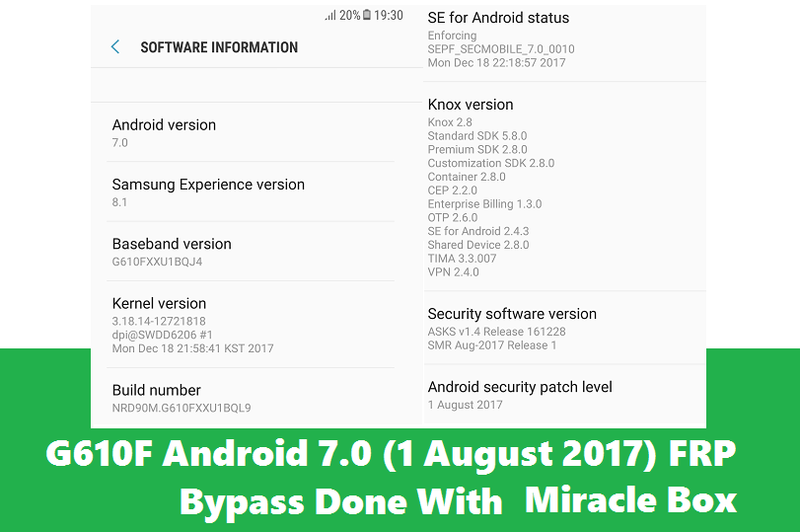 If the phone has latest Android security patch level, such as 1 May 2018 then first try to downgrade the firmware and then follow the steps to bypass frp lock on your Samsung Android smartphone for free, using free frp unlock tool Miracle Box flash and unlock tool download free here and it's working without the flashing box. In this frp bypass process, you use a trick to enable ADB or USB debugging mode on a locked Android device and then use the free frp unlock tool 2018 to bypass frp lock of the phone. USB debugging can be enable using a small trick with the help of your Smartphone's Calculator and then you can use any Mobile unlock box to reset frp and here is the free tool to reset frp. Please go through the entire topic to know how to reset frp (Factory Reset Protection) on your Android smartphone. Open Calculator and enter the below code. Then enter the below code. Now select DM+ACM+ADB and click on Reboot.Know the step by step procedure to enable ADB on a Locked Android Phone Here. How to Reset FRP of G610F Using Free Miracle Box? Download Free Miracle Box (Working without Box) Link given below. Follow the above steps to enable ADB on a Locked Android 7.0 phone. Select Samsung FRP Reset and click on Start button. Allow the computer on your Phone's screen. Wait until the process complete, then phone reboot automatically. After switch on the phone Enable Developer Mode and OEM Unlock, then Factory Reset the phone.